*2019 Ram 1500 Big Horn Crew Cab 4x4 with Level 1 Group Package - $309 per month for 24 mos. term with 10000 mi/yr; $3,257 due at signing with approved Chrysler Capital Financing; payment is plus taxes, $17.50 title and $199.00 doc fees. For Well-qualified Lessees; Based on MSRP example of $46,270 with all applicable offers. 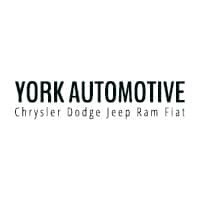 Offer may require dealer contribution; Offer funded through Chrysler Capital. All advertised specials are on in-stock units only; incentives are subject to change without notice; vehicles subject to prior sale; vehicle image for illustration purposes only; not valid with any other offer or discount; shown with options. See dealer for full details. Expires 4/30/19.